If you have been paying attention to the Provo orthodontics scene in recent years, you probably know about invisible braces and speed braces. These new teeth straightening procedures have been welcomed by many people, especially Provo adults who want an alternative to traditional metal braces. There’s more good news for Provo dentistry clients who want to straighten their teeth. How about ‘instant orthodontics’? If you want immediate teeth straightening, you can smile sooner with porcelain veneers from Hammond Aesthetic & General Dentistry! The key to achieving a celebrity smile may be porcelain veneers for your teeth from a Provo cosmetic dentist. Drs. 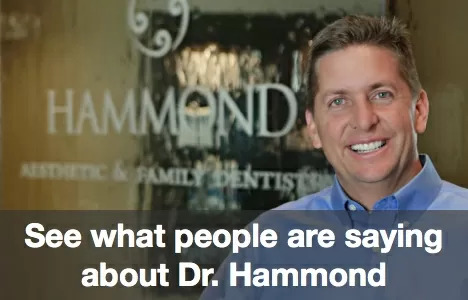 Hammond at Hammond Aesthetic & General Dentistry can help you determine if porcelain veneer dentistry is for you. Ongoing education is essential for elite cosmetic dentists who work to continually provide the latest procedures and materials for their cosmetic and orthodontic clients. We can help. In addition to correcting tooth alignment, porcelain veneers are used to whiten teeth and restore chipped teeth in Provo. 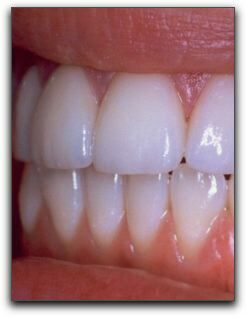 Dental veneers are attached to the front of teeth and often require no removal of healthy tooth structure. Another advantage? They are less expensive than complete dental crown restorations but look just as natural. -Actually, they look far better than most natural teeth! For an instant orthodontic consultation, call Hammond Aesthetic & General Dentistry at 801-374-0070. Porcelain veneers may be the best way for you to receive a smile makeover at a fraction of the cost.